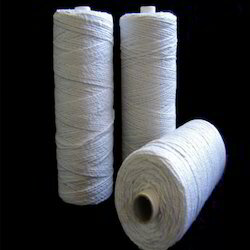 Pioneers in the industry, we offer ceramic yarn for textile industry and ceramic cloth from India. We are offering Ceramic Yarn for Textile Industry to our client. 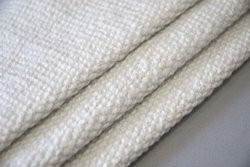 Our organization is among the leading names in the industry for supplying and trading Ceramic Cloth. The offered cloth is made in tune with the industry standards and is extensively demanded to provide sealing and insulation to machines and furnaces in electrical & chemical industries. It has high tensile strength, is resistant to reactivity with chemicals and durable as well. Looking for Ceramic Yarn for Textile Industry ?